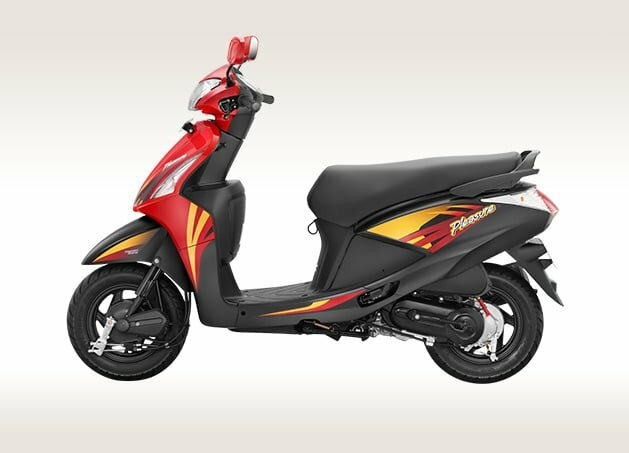 Hero Pleasure, Maestro and Duet are the three scooters in the 110cc segment. The sales of Maestro have declined the most, by 76% year-on-year. Hero Motocorp has taken a considerable hit in December, in terms of its scooter sales. 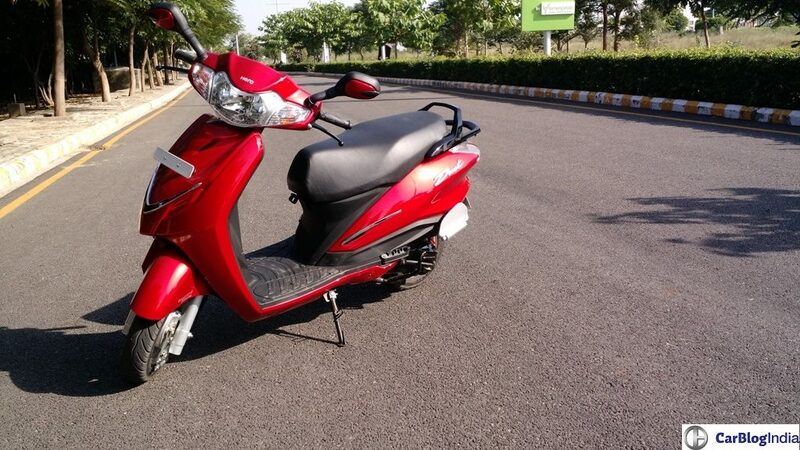 Its three sub-110cc scooters have seen a sharp decline in sales. Hero Pleasure made sales of 6725 units for December 2018, which has fallen down by over 50% as compared to November 2018. Comparing it Y-o-Y, the figures have dipped by 58%. Last year in December 2017, it made 15,679 units. The worst case seen is with Hero Maestro. Maestro is the sportiest and better looking of the lot. It saw a decline of 76%, from 26,379 units to 6281 units this year. In November, it made around 23280 units, again seeing a Y-o-Y decline of 45%, from 42,537 units. Hero Duet was the least performing of these three scooters. It also saw a decrease of 63%, from 14,696 units to 6725 units over the year. In November, it registered 12137 units. Hero Pleasure is the oldest name amongst the three. It was launched in late 2000’s, with the slogan ‘Why Should Boys Have All The Fun?’. It was mainly targeted towards female riders. That’s why, it was one of the lightest in its segment. Duet and Maestro came later in the market. Maestro received a complete makeover over its first generation. Hero Pleasure uses a 102cc engine that produces 6.9 BHP and 8.1 Nm of peak torque. It is able to touch a maximum speed limit of 77 km/hr. Duet and Maestro use a slightly more powerful engine. They use a 110cc engine that produces 8 BHP and 8.7 Nm of peak torque. On the other hand, Hero’s brand new offering, Destini 125 is going successful. In December, it garnered over 17,000 units. Because of its effective low pricing and simple looks, it is positioned as a family scooter. 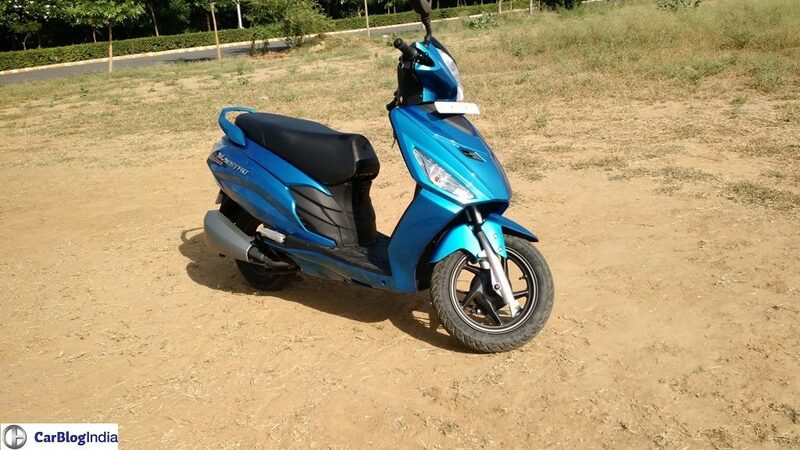 Hero Pleasure competes with the likes of Honda Activa-i. On the other hand, Duet and Maestro go against Honda Activa, TVS Jupiter, Yamaha Alpha and Suzuki Let’s.